Whistler Blackcomb, Canada—voted North America's Number 1 resort for the past ten years is consistently ranked as one of the leading ski resorts in the World. Whistler offers world class terrain, reliable snow-fall and a special atmosphere that leads many campers to re-visit year after year. 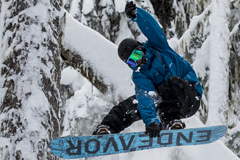 One snowboarding trip to Whistler will have you hooked! Located in the Coast mountain range of British Columbia, Whistler averages an annual snowfall of 11.74 metres (38.5 feet). This tremendous snowfall is largely due to its proximity to the coast, bringing moderate temperatures ideal for big fluffy flakes. 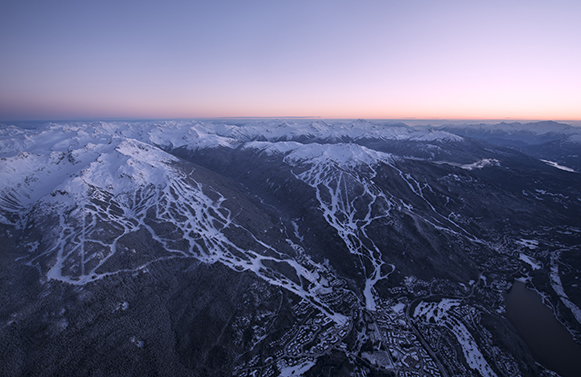 Between the two mountains Whistler boasts 3,307 hectares (8,171acres) of terrain, with 200+ marked runs to explore. 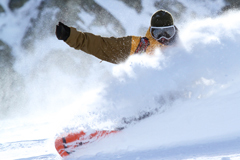 With over 8,000 acres of terrain, Whistler Blackcomb is the biggest ski resort in North America. Whistler and Blackcomb mountains, of similar size, sit side by side, linked by the Peak 2 Peak gondola (the biggest suspension gondola in the world). A typical week at camp is split between the 2 mountains to give you the chance to experience the best of both, and there is plenty of terrain to challenge snowboarders of all abilities. The creative and well-maintained freestyle parks offer features suitable for beginners through to professional snowboarders, each marked as ‘small’, ‘medium’, ‘large’ or ‘extra-large’. 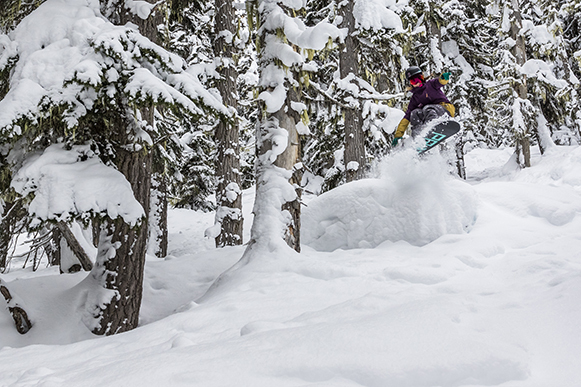 Freeriders will love the challenge of steep black and double black diamond terrain, big alpine bowls and the abundance of amazing trees to explore. The boardercross course and the GS race centre are super fun and are open to everyone. There is plenty of clearly marked beginner and family terrain, and ample choice of blue runs for intermediate riders to work on their skills. Our coaches have many years of experience and know these 2 mountains inside out. They will show you secret spots and take you to the best powder stashes, places you would never find exploring on your own. Whistler offers a long season from November to May meaning. By December, ample snow has already fallen, making it a snow-sure option for a December ski trip. With an annual average snowfall of 11.7 metres per season, Whistler Blackcomb offers consistently reliable snow conditions. 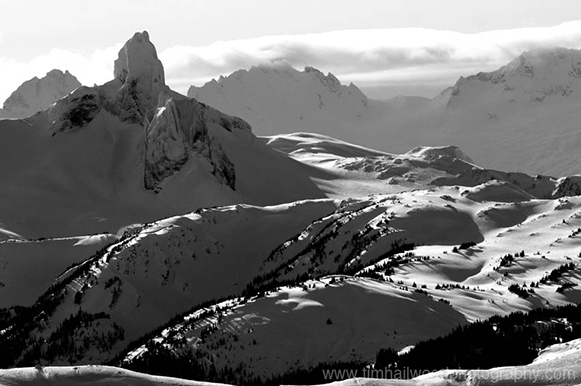 There are reasons why whistler is home to so many pro-snowboarders and the awesome backcountry terrain is one of them! Luckily you don’t need to be a pro to experience this as there are fantastic opportunities to try split-boarding, cat-boarding or heli-boarding which can be arranged through Pro-ride. 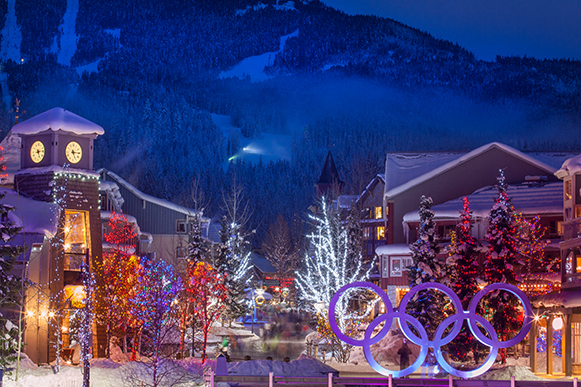 Whistler Village is a bustling centre of shops, pubs, restaurants and nightclubs attracting visitors from all over the World. Our weekly après event on Friday nights is a chance to mix with fellow campers, sample Whistler’s nightlife and wind-down after a fun week on the hill. Off the hill, there are plenty of winter adventures available to try in resort including ice skating, cross-country skiing, snowmobiling and snow-shoeing. To relax you can check out Scandinave Spa, the local cinema, get your picture taken next to the Olympic rings or for a fun challenge, visit The Escape Rooms or Forge Axe Throwing.